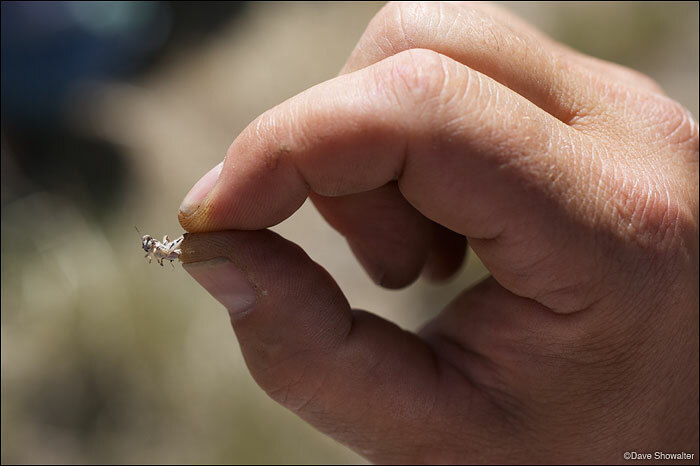 Matt Holloran of Wyoming Wildlife Consultants displays a grasshopper captured during the Audubon Rockies bioblitz event on June 23, 2012. Matt is a renowned sage grouse researcher and educated the group about the importance of insects to the sage grouse diet. Soda Lake Wildlife Management Area. Photo © copyright by Dave Showalter.